Kevin Titman was born and bred into the sport of speedway with his Dad John racing Solo Speedway Bikes professionally for over 15 years in Europe and Australia to become one of this country’s greats. Kevin’s childhood and teenage years were spent crewing as a mechanic on the Speedway Solo’s claiming this was to spark his own passion for Speedway with our Team Titman Speedway. A decade later and a father of 3, Kevin believes it’s his time to shine in Speedway and achieve his goal within the sport – World Series Sprintcars. “I now have the team infrastructure, equipment and the right personal in Crew Chief Tony Cochrane to make a serious assault on the national scene,” Titman said. 2016-17 was a luckless time in the Queensland domestic competition for Kevin, many would remember the huge rollover he experienced in WSS at Toowoomba tearing down the turn 3 safety fence and forcing a premature end to the nights racing. His season highlight was making the Prelim A-Main at the Warrnambool Classic but even then a mechanical failure cut a top 10 finish and a certain start in the big dance of the carnival. “Prior to that I have run inside the Top 3 in the Archerfield Speedway Track Championship and Sprintcars Queensland Club Championships in the recent seasons, with the highlight being an A- Main victory in Night 1 of the Easter Tri-City Shootout in 2014 at Maryborough.” Kevin said. Confidence for WSS31 comes in the form of Crew Chief Tony Cochrane. Tony has joined the team on a full time basis in 2017-18 and will prepare and spearhead the team into the competition I have always aspired to be part of. 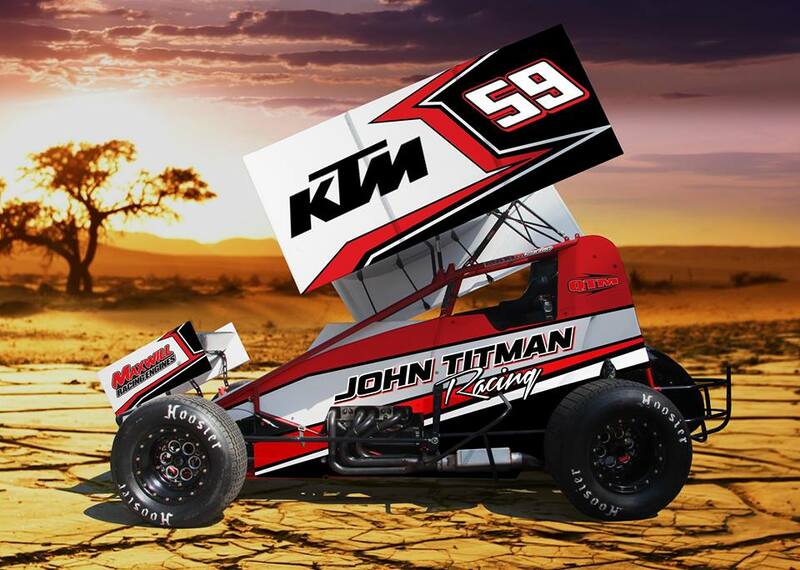 Tony has 30 years’ experience in Sprintcar racing and has worked with some of the best including Shane Stewart, Bud Kaeding, Jason Sides and Todd Wanless. The team will campaign Maxim Chassis’ with Adelaide based Maxwill Racing Powerplants prepared by long-time family friend Peter Morris. Titman will be supported by KTM Australia, Cronin Excavations, Millers Powdercoating and QTM Brakes.